Teaching this class takes me back to my ten-plus years working in the field of public relations. Turns out to be a lot of fun for me (and I hope for students as well). In this writing-intensive course, students craft news releases, op-eds, print and broadcast ads and much more. The goal is clear and concise writing that’s also persuasive. Students in this senior-level capstone course write, edit and design the 48-page Southeast Ohio magazine. 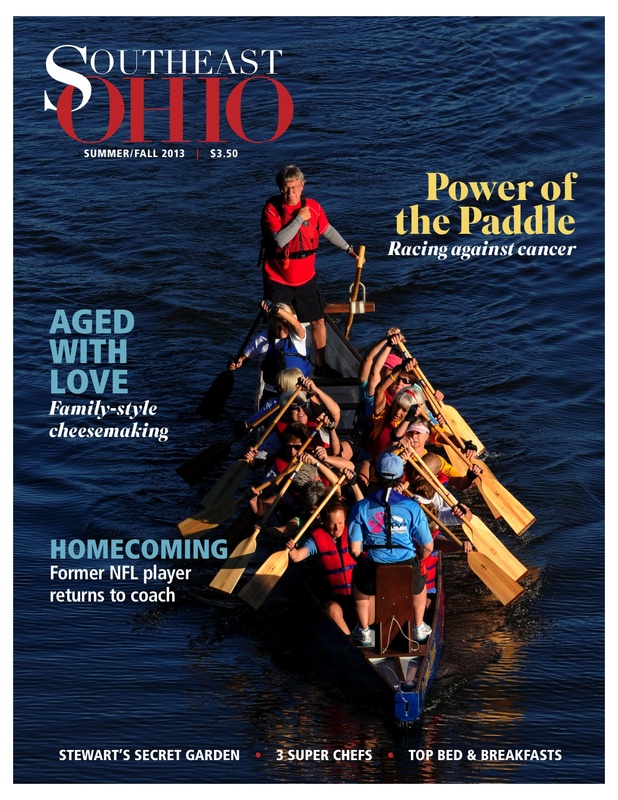 The award-winning regional publication focuses on the people, places and history of 21 counties in rural southeastern Ohio. 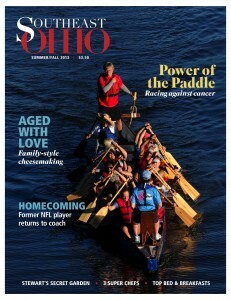 It is sold on newsstands and distributed to subscribers. As instructor, I serve as coach, executive editor and liaison to the publisher, the E. W. Scripps School of Journalism at Ohio University. We’re all about magazines in this course: print (no, they aren’t dying), online, tablet and mobile versions. Entrepreneurism and creativity help as students create their own niche magazines from scratch, learning how to define (and find) an audience, make a budget, develop an editorial philosophy for their target readers, write heds and decks, fact-check stories, plan art and create spreads using InDesign. These projects are terrific portfolio builders. What’s more: some grads have launched magazines from ideas hatched here. As a longtime freelance magazine writer, I get pretty stoked about teaching this class. We read some great feature articles and talk about what makes them so compelling. Of course, students can expect to write. A lot. And rewrite. Students also learn to critique each others’ work and to receive constructive criticism. Ouch. No really, it’s all fun. This is a class for grammar nerds (that would be me) and journalists-to-be who want to understand why they put the commas and colons where they do. In this basic grammar skills class, I try to help students make sense of the English language. It’s a worthwhile goal for writers who want to tell stories clearly and for editors who help them when they don’t.